Like I said in the previous post, this one is for the adventurers, explorers, photographers and budget travellers. 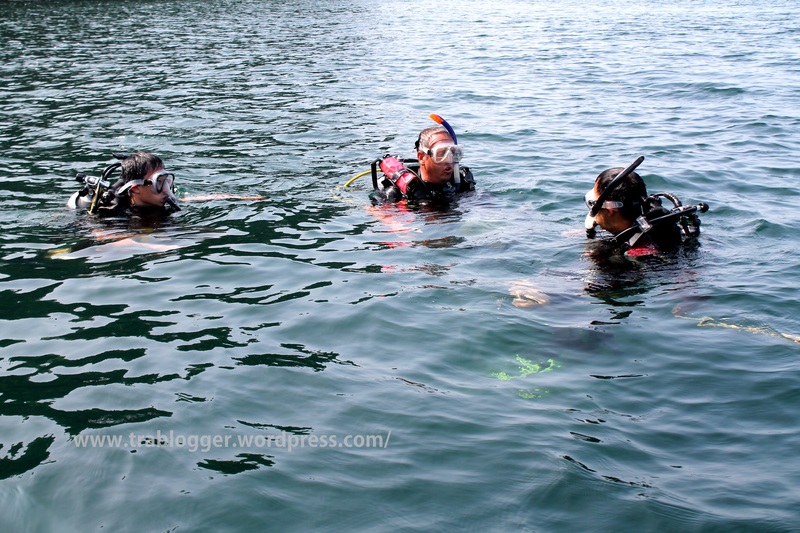 I can tell you that India offers the most economical scuba diving experience in the world. I have no research data or anything to support it. But if you are looking for a PADI certification or just a scuba experience, this place has got it and that too in a very economical way. For any PADI certification you need to stay in that place for at least a couple of days. So again I am saying After calculating the conversion rates, the stay, food, scuba equipment rentals etc etc, India offers the most economical scuba diving experience. 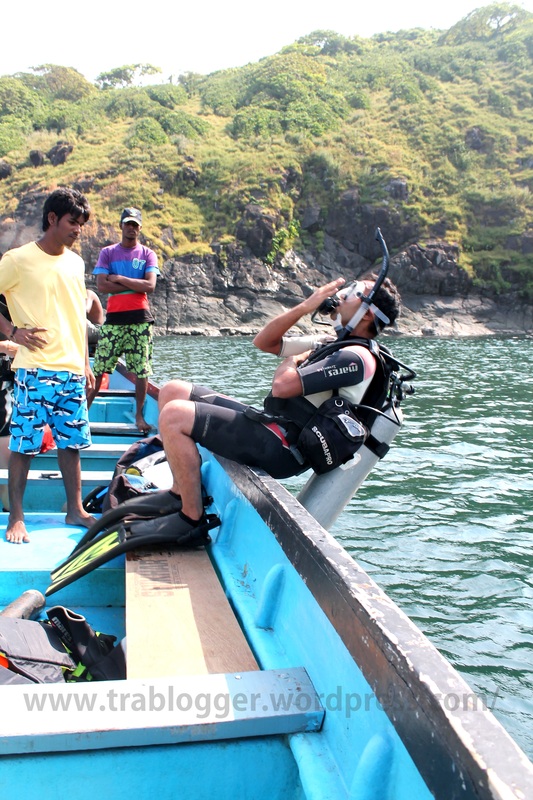 Netrani island aka Pigeon island in Arabian sea is a perfect place for scuba diving. 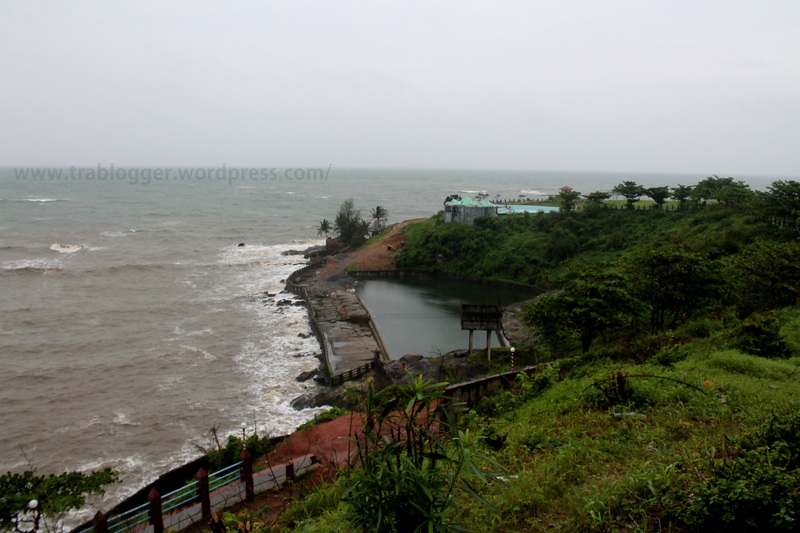 This island is around 10 nautical miles or 19km from OR 1 hour boat ride from Murudeshwar. And it offers a wonderful snorkelling and diving experience. You can get a PADI certified open water diver certification or anything above that from here. The prerequisite is be able to swim and float for 10 minutes. 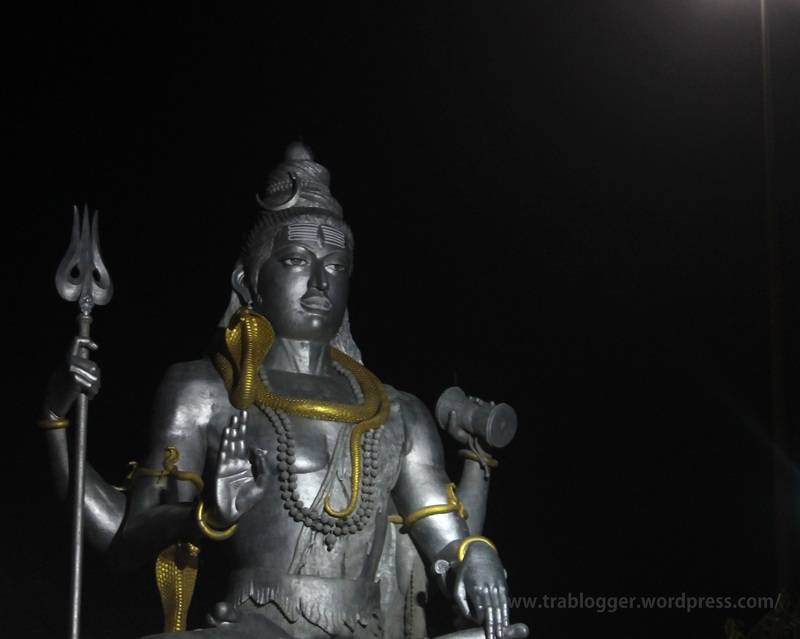 So the secret is Murudeshwar offers one of the most economical Scuba diving experiences. If you don’t want to spend so much for a diving, you have options for snorkelling. If you don’t want to go beneath the water level, you still have options of water rides; water bike ride, banana ride, speed boat ride and so on. If you don’t want to go in the water at all, the beach side offers plenty of space for any type of games and fun activities. I hope the beach bums and budget travellers find this place interesting. Note : The season starts after the monsoons. No water related tourist activities during monsoons. It includes scuba diving. Police men might even charge you with a fine if you try to swim in the sea during rough weather. So November to February is a good time to visit the place. If you want to visit this place on a shoe string budget and have fun and get most out of the trip, read on, maybe this might be of interest to you. 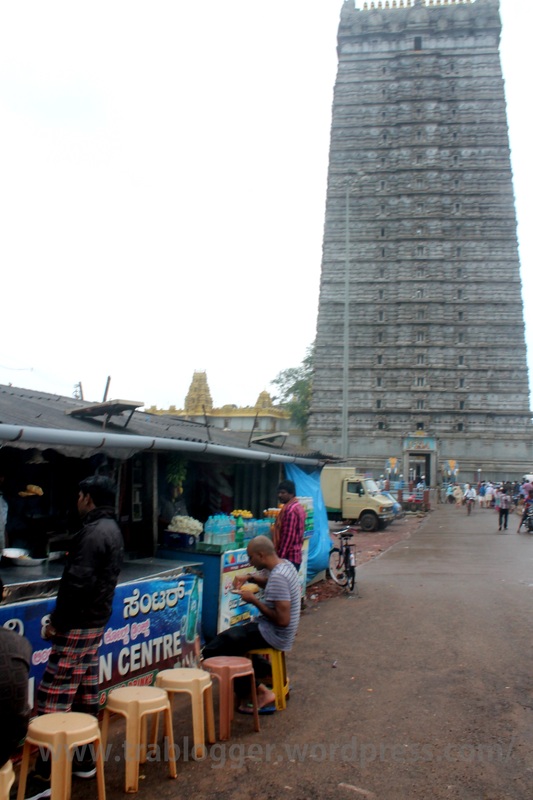 The Murudeshwar station is nearby to the temple and the beach. So if you don’t mind walking for a twenty minutes or a maximum of half an hour, depending on your speed. You can find a big arch once you come out of the station to the main road on your left side. Just follow the main road after the arch without any major turns, and it will lead you to the temple if you are walking all the way up. It can save a few bucks. Otherwise you will get auto rickshaws. They might charge according to their impulse, especially at night. I find this place peaceful even if you are walking alone at night. You might find some stray dogs though. So walking is an option entirely upto you to decide. If you are walking, as you walk you can find many hotels on both sides of the road. People will come behind you to canvas you to their hotels. Price range varies from 300 to couple of thousands and more. 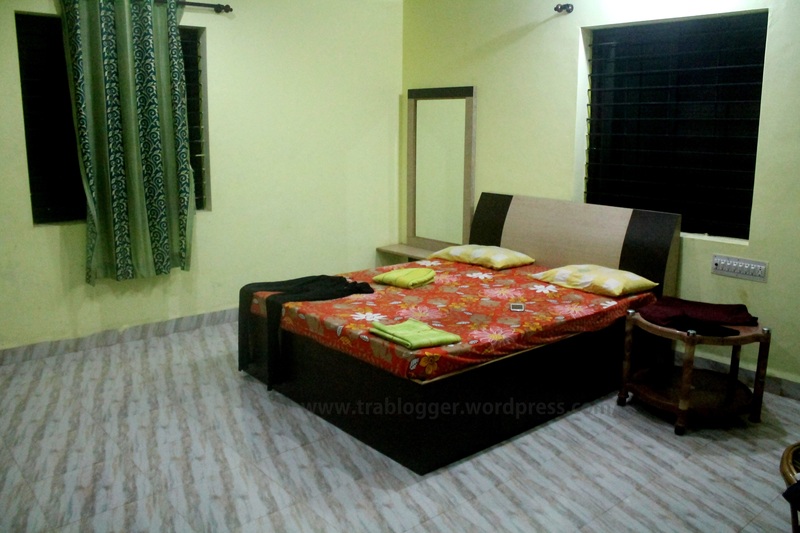 This is what you can get for a thousand rupees a night! This isn’t a cheap option, I know. But I wasn’t on a budget trip that time. But I have tried the cheapest of all options too! This can be a bit adventurous,as invading private property and all that fun things involved. 😉 I will tell you what I have done. We reached the place as late as possible, after midnight. On the way we met many hotel agents who wanted us to stay in their hotels. But we said we have already booked a hotel and kept on walking. 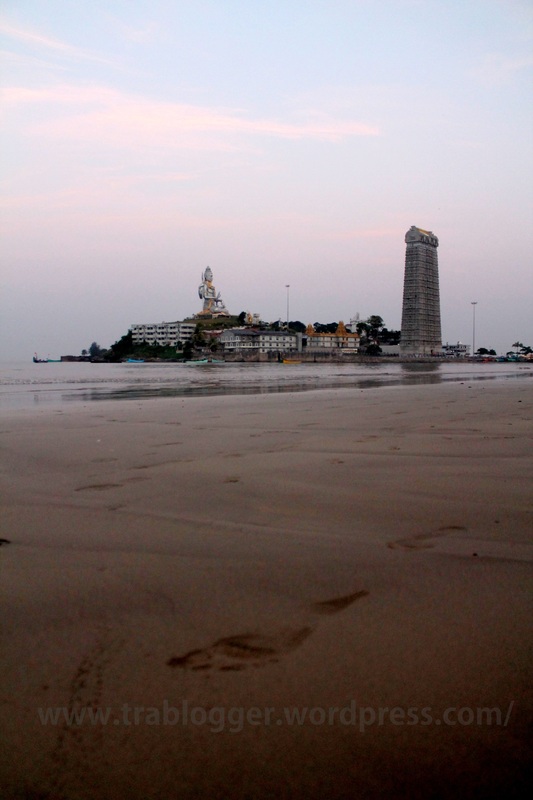 At the end of the road, as you are nearing the temple, there is a small road going parallel to the beach. Our initial plan was to pitch a tent on the beach, but water was all over the place! So we could find a big ground like place and no one was around. So we decided to pitch the tent there. We also decided to wake up as early as possible, to avoid any problem from the local people. And there is a Sulabh centre, a public toilet very nearby. So the morning problems solved. So all together the night’s stay and freshening up will cost you less than 100 bucks ( less than 2 USD ) if you are a little bit adventerous !!! 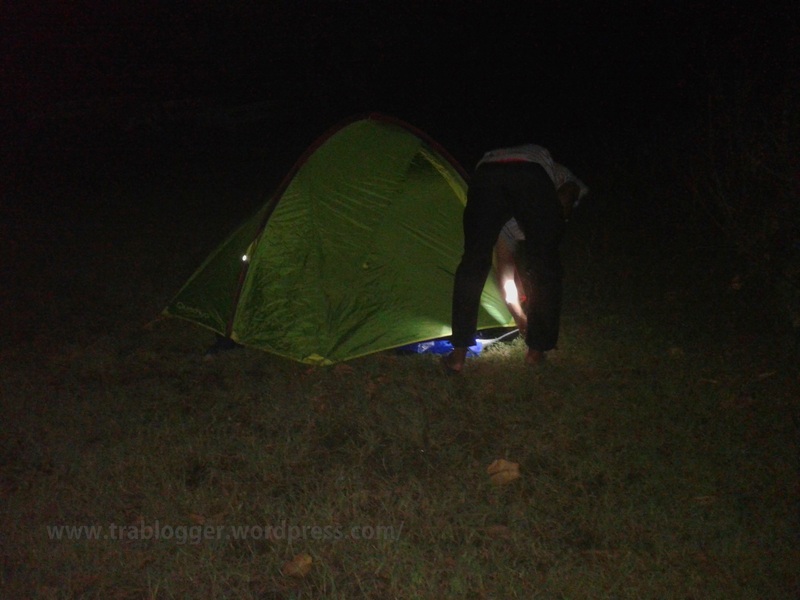 Pitching our tent at night! So now you know another secret! You can stay here for less than 2 dollars per night!! Eat from street side hotels. They make instantly and serve you hot. And it is cheap too. Quality is same as that from any big hotels around. They just don’t have any taxes involved, that’s the only difference I guess. So stay and breakfast, less than 4 dollars or 200 rupees! If you have gone through the previous post, you must be aware that there is a free meals provided by the temple in the after noon. I am just saying. So that’s all for the budget travellers. If you can find a place to pitch a tent, you are already an explorer 😀 Well there isn’t much to explore in the beach. When I looked around I saw this spot. At the edge of this place, there is a spot that I thought would be perfect to watch the sunset. In fact it is a private property belongs to a resort. 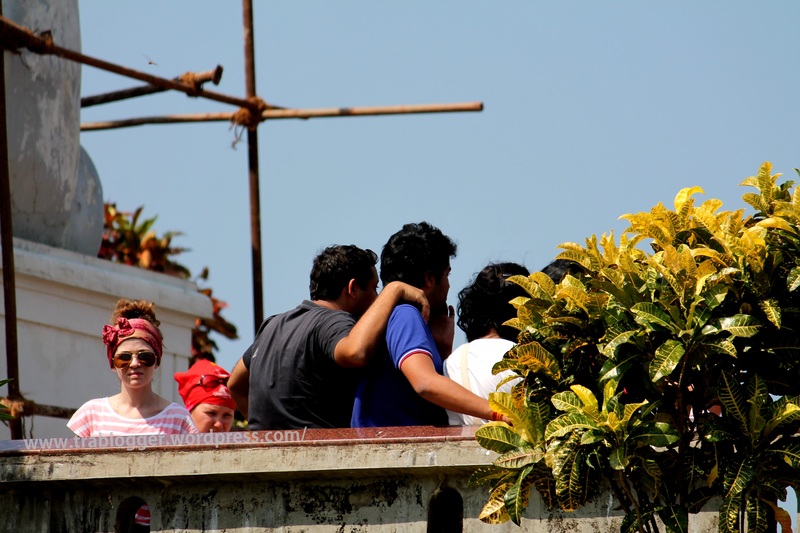 And there is no proper way to reach there other than from the resort. So found out some steep inclination and started exploring the place. The exploration wasn’t worth the effort though. But you can explore the nearby village. It has got some really old houses with crafted wooden windows and doors. And you get to see the local people, how they live just meters away from the bustling tourist place and all the social imbalance. Explore a little bit more through the beach in the evening. You can find a less crowded part. And it will look like this. Then you will reach to some part of the village. Or else focus on the beautiful people. And lets wind up the exploration with some night photographs. 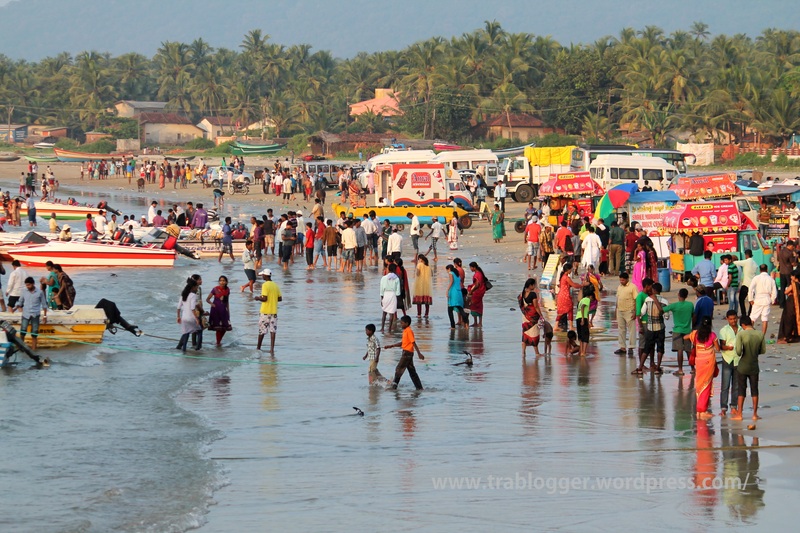 Hope you can have a very economical weekend trip to Murudeshwar, if you aren’t planning anything big here. 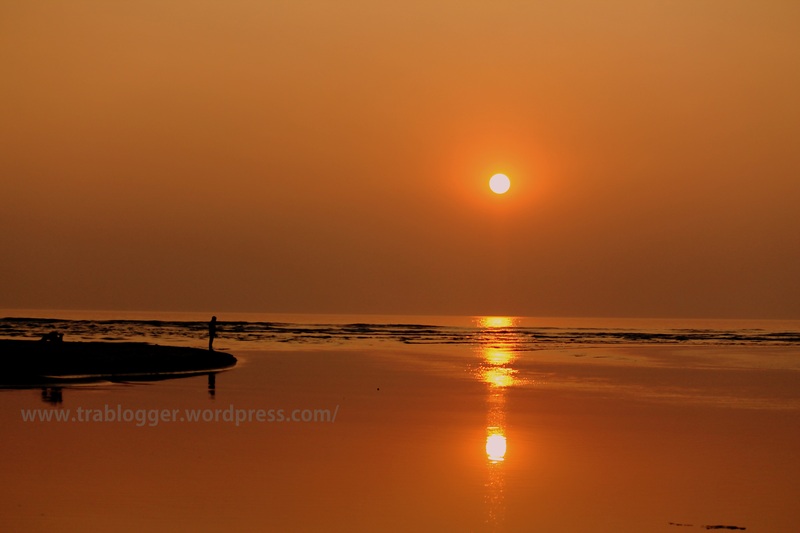 Love the orange hue sunset very much. Feel that you had a great time. Do let me know your explorations stories. 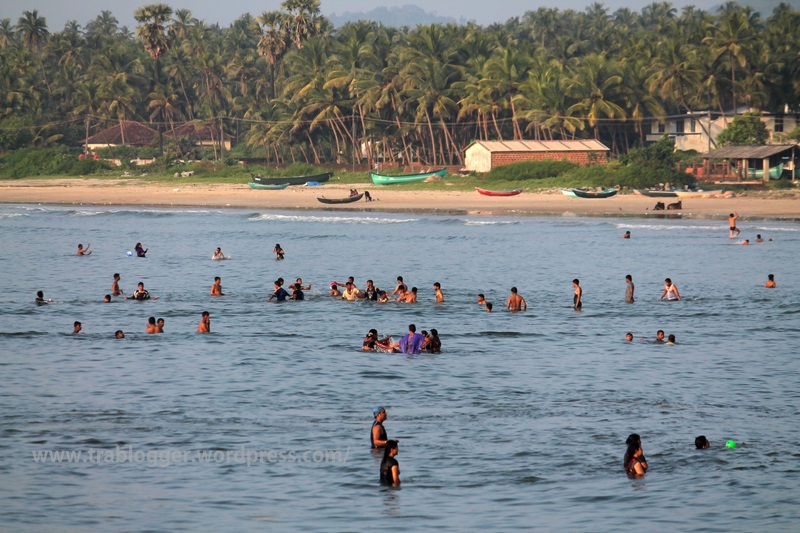 Penambur beach looks like a cool place. 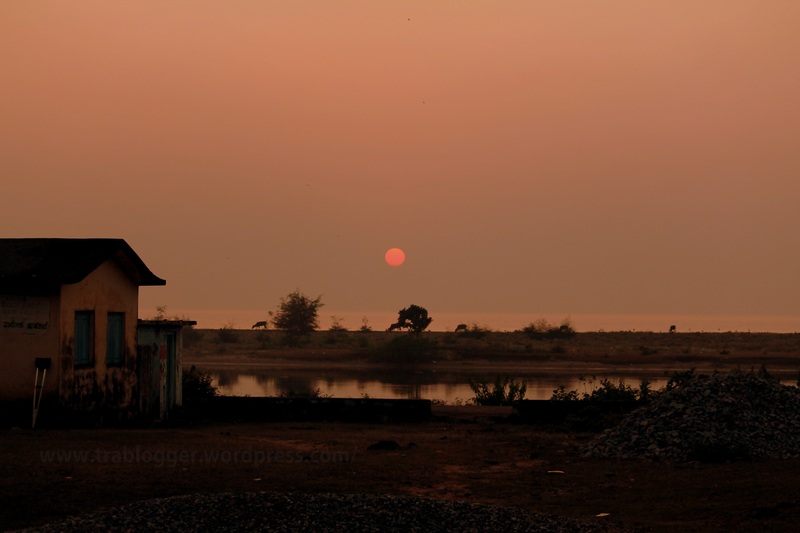 An amazing post and i really loved the photos of the sunset. Great post! Adventure lover’s delight 🙂 Love the photos as well. Shared it in my network. Made my day! 🙂 Admittedly, sunset and moon shots are challenging (it’s mission impossible for me) for most us. Thank you in advance for sharing! This is really cool..budget scuba diving..exploring..camping..so much! Can you give roughly what was the cost for scuba diving. You mention that one requires scuba diving lessons prior to diving into..if so, what are the costs and time of such sessions. Secondly, I would like to know what you saw at the sea bed.. did you spot coral reefs, fishes any aquatic forms..
Can scuba dive experience be gained, w/o the certificate..like few hours in water..etc..what would the rate and schedule be it then? Surely, would like to try this one! yes, I am sure it can be done, But not sure of the rate. and schedule. But wont take more than 3 days.